Touted as the party capital of the Canary Islands, Playa de las Americas lies picturesquely on the southwest coast of Tenerife. Renowned for its year-round sun, golden sandy beaches, terrific nightlife and duty-free shops, this spectacular resort has six marvellous beaches, offering the pleasures and thrills of the Canary Islands to the fullest. As Tenerife's ultimate party destination, Playa de las Americas boasts the most vibrant nightlife hubs such as the Starco Centre and Veronicas strip in Tenerife. Hotels in Playa de las Americas are dedicated to make your holidays in the Canary Islands super-exciting and uber-comfortable. Situated within an easy walking distance from the Las Americas beach, Hotel Las Madrigueras offers a fabulous stay, with a luxurious spa centre, expansive outdoor pool and great panoramic views of the Atlantic Ocean and La Gomera Island. This is a great place for families and couples to enjoy their stay in Tenerife. Located in the heart of Playa de las Americas, Primecomfort California is a popular accommodation choice for couples. An adults-only hotel, it provides a tranquil setting with modern pleasures and fine hospitality to leisurely explore the resort at your own pace. The popular Campo de Golf Las Americas is only a few metres away from this marvellous hotel in the Canary Islands. To enjoy the irresistible beach resort of Playa de las Americas in pure comfort, H10 Las Palmeras is one awesome place. The 4-star resort features well-lit spacious rooms, two outdoor pools, four restaurants, tennis courts and serves a variety of types of cuisine and drinks to delight your taste buds. 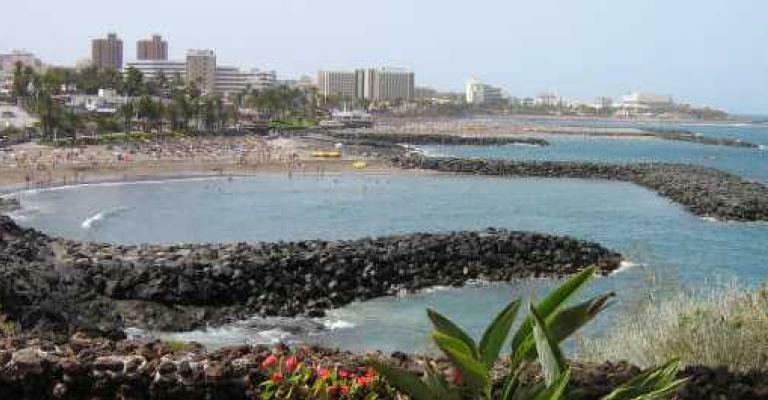 From the resort, you can gain direct access to the oceanfront promenade of Playa de las Americas. For families and couples, you also have Hotel Los Olivos. Located right on the Playa de Fanabe Beach seafront, this sophisticated aparthotel offers contemporary apartments and stylish studios, two outdoor pools and a sun terrace with gorgeous sea views. You can find three golf courses, a shopping centre and the town centre of Playa de las Americas within a short 10-minute drive from the hotel that promises to ensure your stay in Tenerife is unique and unforgettable.